Papermanias Create Christmas returns ready for the festive season and bursting with all your yuletide crafting essentials. 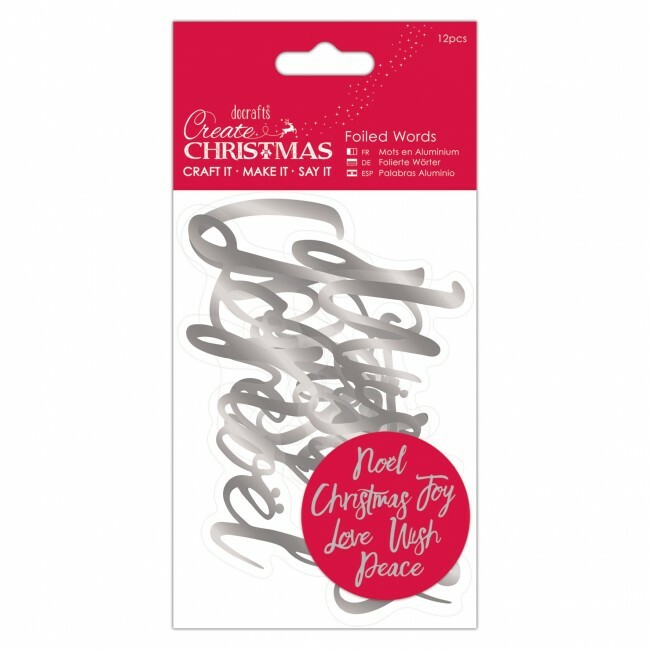 Adorn your paper craft with these Silver Foiled Words. They will definitely give your Christmassy crafts the wow factor. Pack includes 12 pieces 6 different words: Peace Wish Love Joy Noel and Christmas.